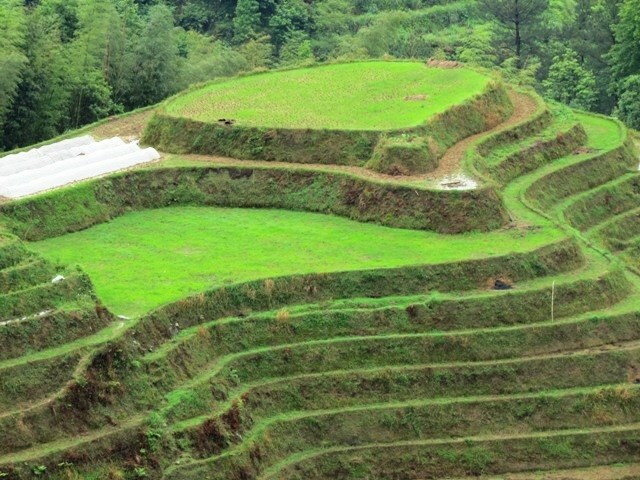 Dragon’s Backbone Rice Terraces, so named because the terraces resemble a dragon’s scales, were constructed around 650 years ago at between 600m and 800m above sea level. 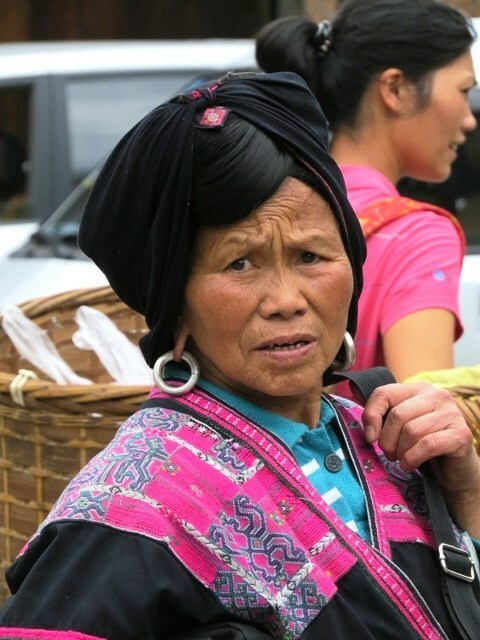 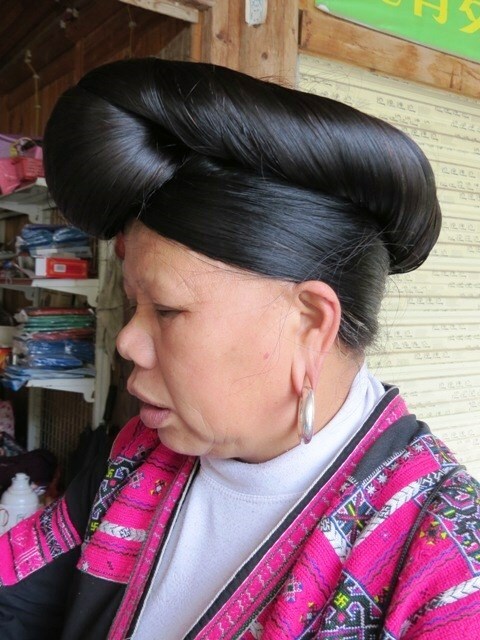 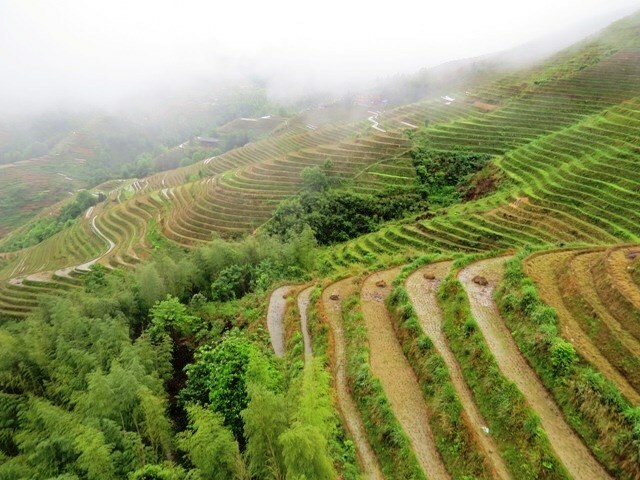 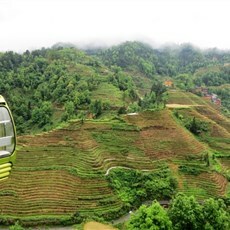 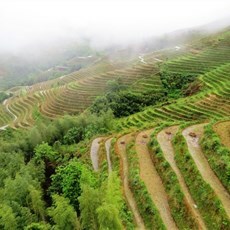 “The Dragon's Backbone Rice Terraces are the culmination of both the profound wisdom and strenuous labor of the Zhuang people ... 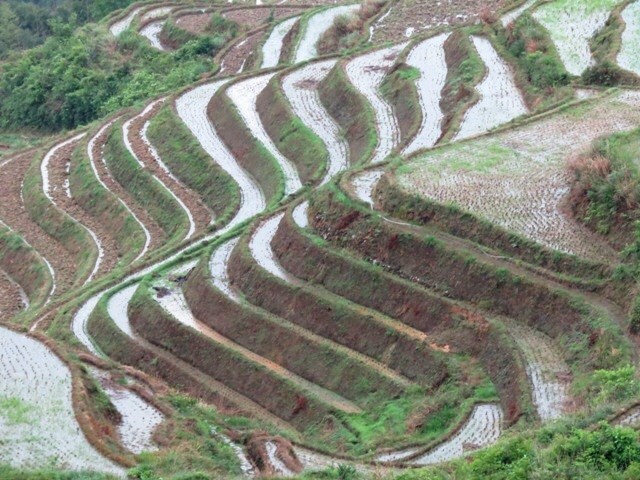 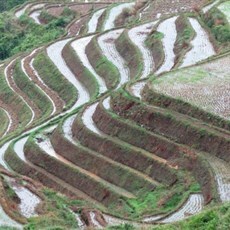 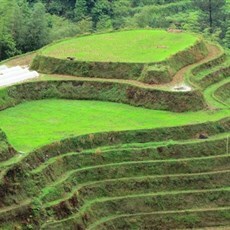 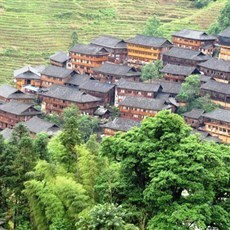 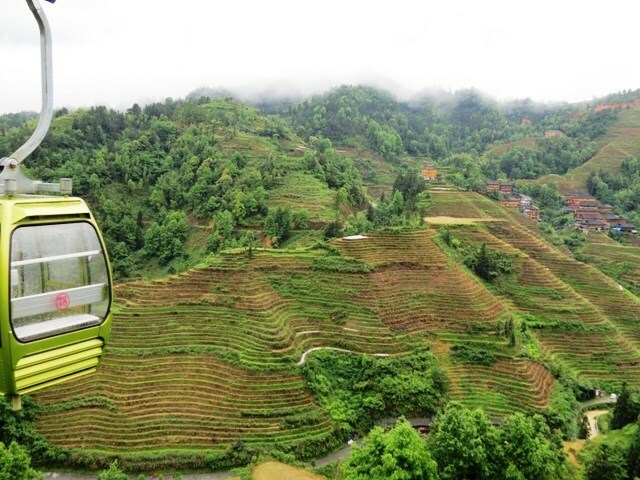 The linked together rice terraces vary from season to season. 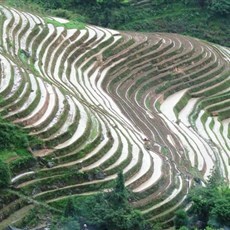 In spring, the water is irrigated into the fields and the terraces look like great chains or ribbons hung on the hillsides. 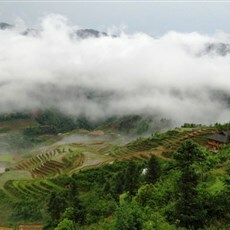 When the onset of summer, green waves rush continuously down the mountainside from the heaven. 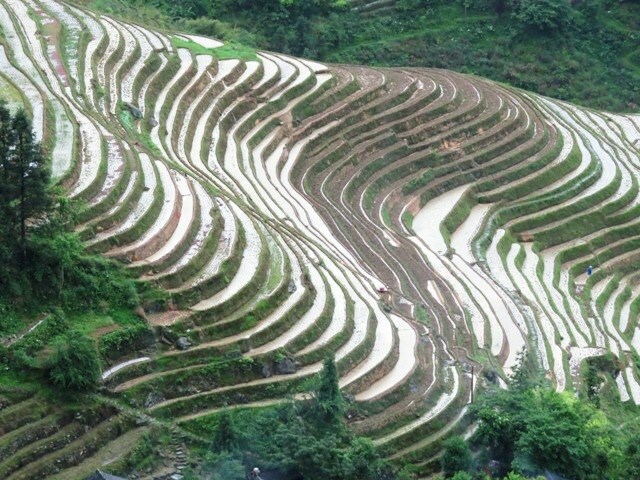 The theme of autumn is the harvest, with the mountainside decorated with the gold of ripened millet. 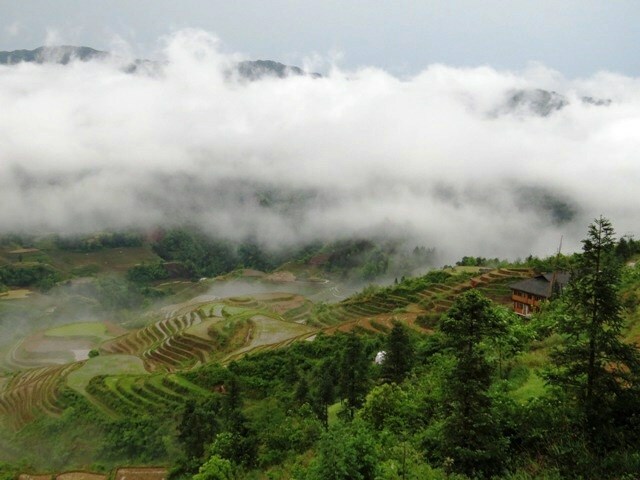 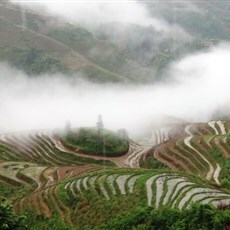 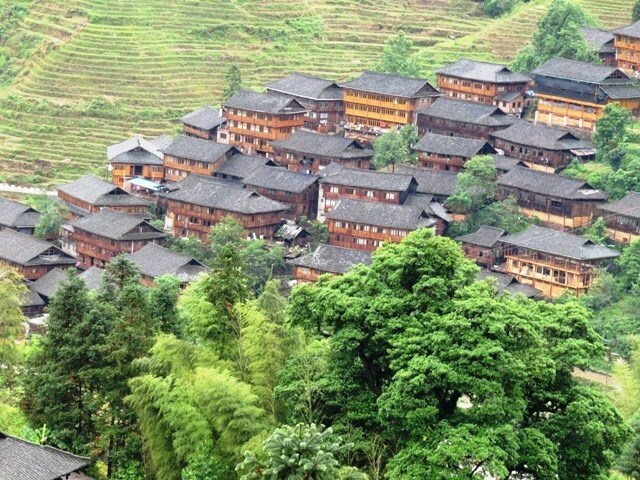 Coming into winter, the whole mountain will be covered with white snow, just like dragons playing with water” (longjiriceterraces.com). 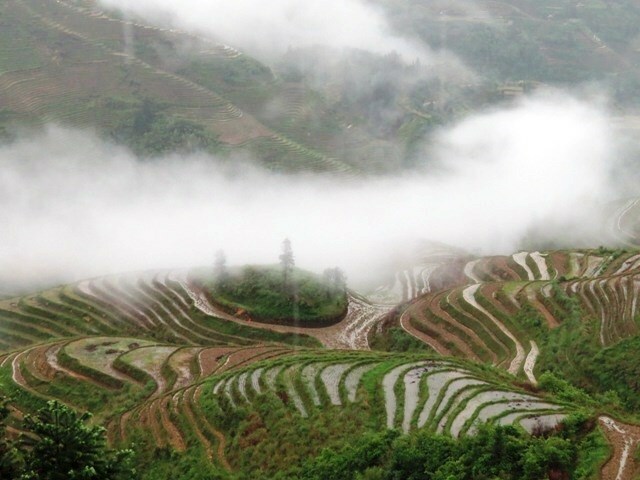 It poured with rain during the night and well into the morning, but the weather began obligingly to clear just before we boarded the cable car down the mountain and our bus to Guilin. 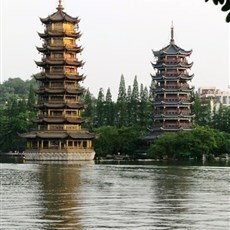 Our first impression of Guilin, arriving by train a few days ago, was that it is an astonishingly ugly city in an unusually beautiful setting. 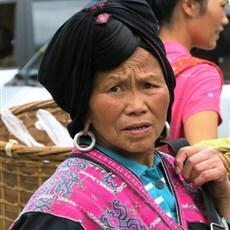 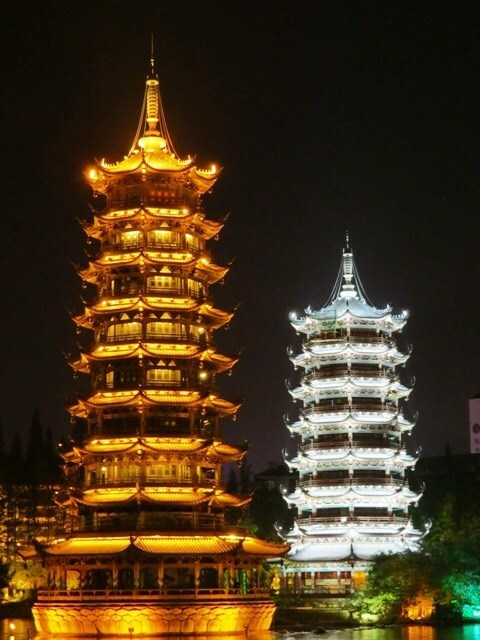 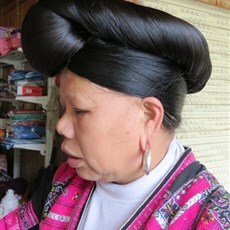 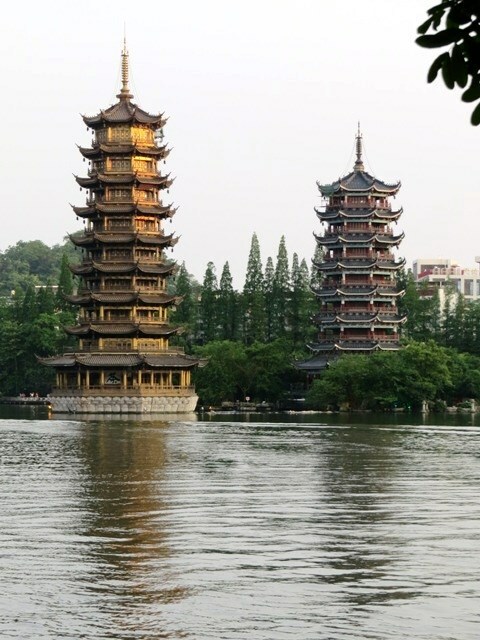 Basing ourselves today in the centre of town rather than the outskirts, we discovered Guilin’s brighter side. 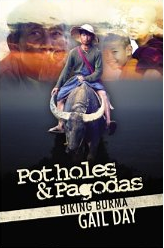 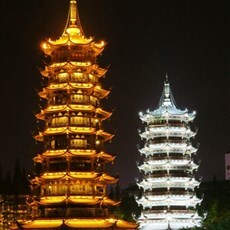 Pedestrian streets lined with hotels and shops and restaurants; surrounding hills with improbable names: Bright Moon Peak, White Horse Cliff, Five Tigers Catch a Goat Hill, Folded Brocade Mountain; and Shan Lake reflecting the Sun and Moon Twin Pagodas, beautifully illuminated at night, glowing appropriately gold and silver.